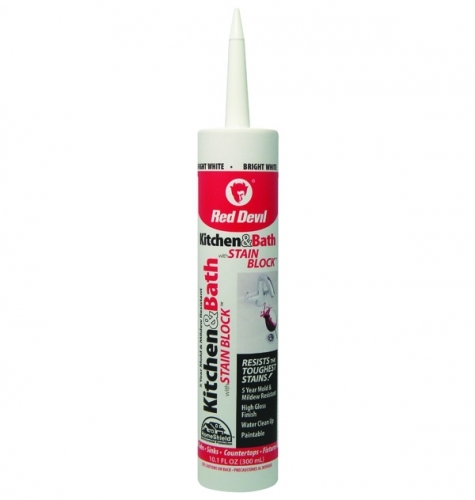 Kitchen & Bath STAIN BLOCK™ Sealant is an interior/exterior caulk that has excellent bonding strength to a variety of substrates. It seals like caulk but sticks like an adhesive when fully cured while it remains permanently flexible and will not crack or discolor. This advanced sealant can be painted with latex and oil-based paints and cleans up with water. The cured bead is mold and mildew resistant.